The world’s leading beer industry consulting firm. Highly experienced industry experts delivering thousands of projects across the globe for the past 30 years. We deliver projects and services better, leaner and faster than anyone else. Brief biographies of our firms management. Independent, objective and comprehensive consulting. We go the distance with our clients to uncover opportunities and achieve sustainable advantage. Our wide range of experiences is a benefit for our clients. First Key has a solid track record delivering insights that our clients act on - practical roadmaps that are tailored to the specific situation of each client. Our clients tell us that early integration of our experience and best practices ensures their project success, secures consistent quality, and reduces costs. With our industry focus and expertise we dig deeper, challenge thinking and drive sustainable advantage for our clients. Let’s get it right the first time. The foundation of your brewery starts here. First Key will help your company successfully navigate through the many activities and decisions that face a new brewery start up or expansion. The experience that takes your brewery to the next level. We can enhance every aspect of your brewpub restaurant and kitchen operations. We will help you get brewing and packaging arrangements that work for you. What really drives your growth? Where talent meets opportunity in the brewing industry. We integrate value, quality, innovation, and efficiency for your benefit. While you focus on making great beer, we focus on your capital project. Specialized process, packaging, utilities, malting and automation engineering for your brewery. Turning your quality, operations and business processes into a competitive advantage. Our brewery experts help you define and implement the most impactful projects to improve quality, cost and delivery. Teaching your team to “fish where the fish are”. Ongoing expertise, but not on your payroll. The future belongs to top quality beers. Sound advice on demand from experienced professionals. Improving Safety and Reducing Environmental Impact. Your passion, pride and personality reflected in each recipe. Quickly transferring your new recipe into reliable commercial production. Deep industry knowledge is our point of difference. Independent expertise and global experience to conduct systematic and detailed due diligence. Helping you make informed business and financial decisions. A structured program to increase your profitability. We have a track record of putting buyers and sellers together. Well-supported, logical and defensible valuation conclusions. View the competitive landscape more clearly. Are your strategies connecting with your customers? Developing relevant, unique and compelling customer experiences. How does your brand stand out in a crowded market? Are your operating margins where they should be? Experienced brewery consultants working seamlessly with your team. Let's find the best possible candidate for your role. The brewing industry job board. Join our team of talented, interesting and experienced consultants. Hops and Malt from the ground up. Looking for hop innovation backed by sound science? Set this pull quote in the 'excerpt' section of this page's edit screen. Scroll to the bottom to locate the text input. The author could be forgiven for his largely unwarranted pessimism, since 1997 was the year that the first wave of craft beer growth had crested. As we all know, brewpubs and other craft breweries have been growing in numbers (along with sales) for over a decade. The Brewers Association reports that new brewpubs have opened in the U.S. at an average rate of over 230 per year for the last three years. The total, growing almost continuously, stood at 1,916 nationally at the end of 2016. This performance could be considered even more impressive given that it comes at a time when bars, taverns, and nightclubs are generally facing some headwinds. Consumer research firm Nielsen reports that there was a 0.3% decline in the total number of on-premise drinking establishments in 2016. Still, it must be pointed out that on the basis of numbers alone, the growth of brewpubs has been hugely overshadowed by the increase in the number of microbreweries and regional craft breweries. In fact, while the number of brewpubs has grown impressively, that growth pales in comparison to trend for microbreweries over the last ten years. And yet brewpubs have seemingly gained far more than their fair share of attention. In part this is because brewpubs are cited as not only a place to sell beer, but as places to build brands – and, more significantly, they’re increasing in cultural importance as a Third Place, a term sociologists and others use to describe non-home, non-work environments where people gather for a social and civic engagement and to build a sense of community. And these human needs satisfied by Third Places are growing in relevance in consumer culture today. The retail consultant cited above mentioned one financial factor and two cultural factors limiting the viability of brewpubs in 1997. The two cultural factors have both seen significant shifts in the last twenty years. 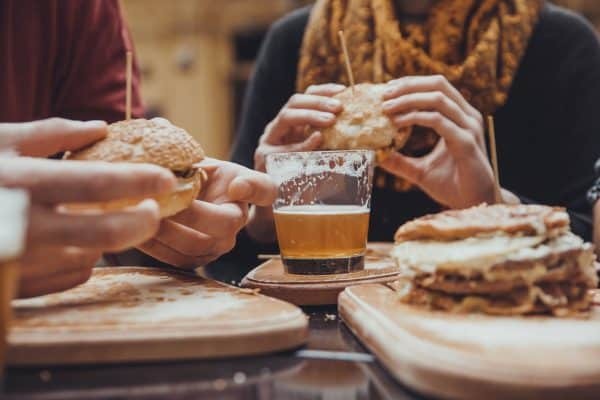 “…a public that drinks a lot of beer…” While per capita consumption of beer overall has declined over the last two decades, per capita consumption of craft beer – which is the more relevant metric for brewpubs – has increased, from an average of 1.5 bottles per year for every adult to over 6 bottles per year. “…a lot of traffic…” Today there is more traffic in the sorts of urban areas where brewpubs tend to locate, a result of a small yet pronounced reversal in a long-term trend of close-in urban neighborhoods losing population. (To be clear: cities are generally still losing population to their suburbs. But within cities there has been a shift toward the center.) And, like so many recent trends, it’s being led by the Millennial Generation. Young adult professionals have increasingly chosen to live in downtown areas and other close-in neighborhoods. The School of Urban Planning at the University of Waterloo (Ontario) studied data for the 51 U.S. and Canadian metro areas with populations over one million and found that 25-34 year olds accounted for more than twice their fair share of population in these neighborhoods. To appreciate the forces underlying this dynamic, and how differently they’ve been trending in the last two decades, think about this: the year 2000 saw the publication of Robert Putnam’s book Bowling Alone, which analyzed the decline of Americans’ in-person social interaction. The book discussed the shrinking numbers of participants in everything from civic organizations to bowling leagues. As a political scientist, Putnam saw this as nothing less than a threat to American participatory democracy. Of course, in 2000 the oldest Millennials were 20 years old, and had yet to make their first foray into adult civic life. The trend that so concerned Putnam was largely a Baby Boomer and Gen Xer phenomenon. And as it turns out, Millennials have a long-standing craving for community that their elder generations have only recently begun to embrace. During the 90s, while adults were increasingly bowling alone, teenage Millennials were participating more and more in community service projects. According to research by the MacArthur Foundation, among students planning to attend college the participation rate for such projects increased from about 25% in 1990 to over 35% in 2005. Among non-college aspirants, the rate increased from under 15% to over 25%. In a survey by The Futures Company (now Kantar Futures), people were asked whether being part of a close community was important in their personal life today. While 36% of Boomers said that it was, 45% of Millennials agreed on the importance of community. And, beyond great beer, food, and fun, this is exactly what brewpubs offer their customers. Along with coffee shops they are today’s Third Places, where people leave their status at the door to interact as equals, to share conversation that goes beyond the superficial, and to feel connected to their communities at a deeper level. Millennials are seeking this, and brewpubs provide it. It’s almost as though the trends lamented by Putnam triggered a counter-trend, recognition that things had gone too far and that a new effort to build community back into their lives has taken hold. As brewpubs have grown other types of on-premise accounts are facing headwinds and consequent declines in numbers. Nielsen also reported that neighborhood bars were down 0.9% in 2016, or a loss of over 500 such accounts. Has the growth of brewpubs come at the direct expense of these types of bars? According to the BA there were 229 brewpub openings in 2016 (along with 44 closings). Given that this is less than half the number of neighborhood bar closings, it’s clear that these “Old School”-type accounts are facing problems beyond any competition from brewpubs. But it’s also likely that at least some beer drinkers are abandoning neighborhood bars because brewpubs do a better job of meeting the rising need for community. In fact, brewpubs aren’t replacing neighborhood bars. They represent the evolution of the neighborhood bar, offering all the same tangible and intangible benefits found in those establishments and more. 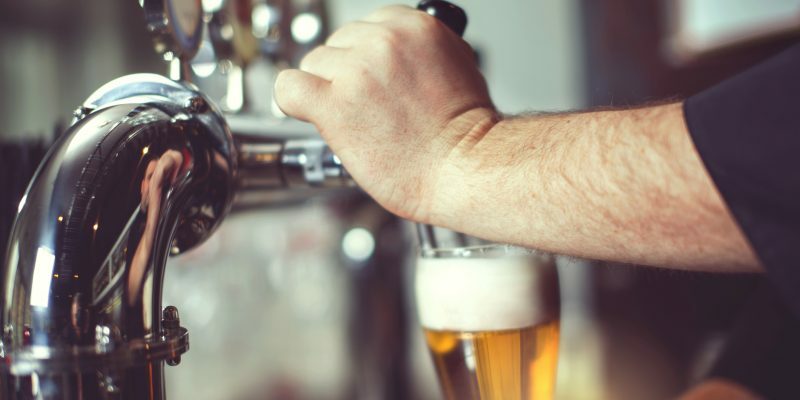 Social and cultural change isn’t always for the better, but it’s hard to make any case about the rise of brewpubs that doesn’t acknowledge what they’ve added to beer drinkers’ lives. 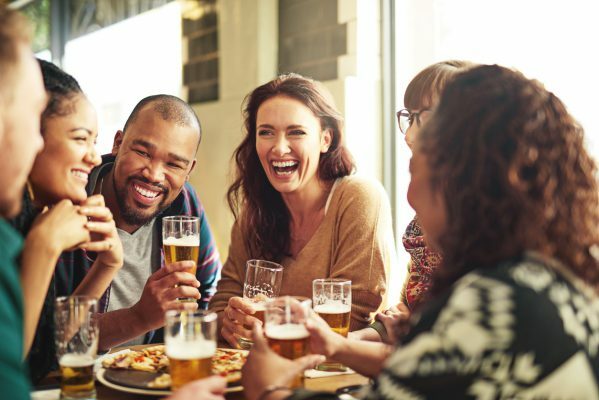 The cultural pendulum, whose arc had once peaked in a place unfavorable to community in general and brewpubs more specifically, has begun to swing back as Millennials have come of age – and older generations have seen fit to join them. The BA defines a brewpub as a restaurant-brewery that sells 25% or more of its beer on-site. A company is re-categorized as a microbrewery if its off-site (distributed) beer sales exceed 75 percent. First Key INSIGHTS, delivered. Sign up Now. First Key is the leading brewing industry consulting firm. We have been operating for over 30 years and have worked in over 50 countries. Our people are some of the most talented, interesting and experienced experts who provide clients with independent and comprehensive advice, and work with them to implement solutions in every area of their business. © 2019 First Key Consulting. All Rights Reserved. Thank you for your interest in First Key’s consulting expertise. To contact us, please complete the form below. We will make every effort to respond to you within two business days. Thank you for your interest in working at First Key. Experienced in the brewing industry? Available for short or medium term projects? Brewingwork.com is our online job board exclusive to the brewing industry and where we manage all our resumes. To provide your business information, please create an account and complete the form below. You will receive an automated response confirming your account. Please Enter Your Email Address We will send a link to reset your password to this address. Submit the details of your products.